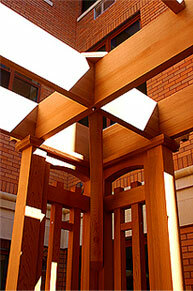 This project was designed in a Mission style using a heavy trellis to create the four corner assemblies. These "corner posts" are sitting on brick plinth bases. This is an excellent way to create greater height. 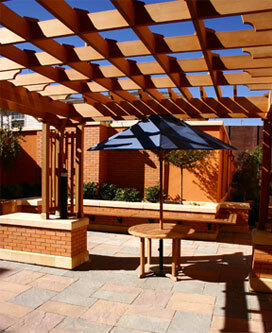 Designed for an apartment complex, the span on this structure is 18'. 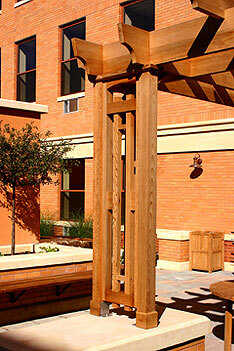 The corner brackets help to stabilize and support the interior beams, while enhancing the design. The "ceiling" is a coffered style, with each joint capped and through bolted for strength. 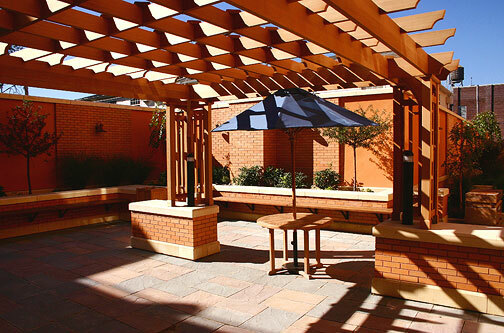 A very dramatic structure, engineered for longevity.